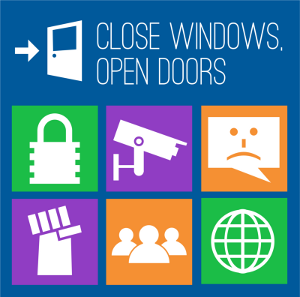 The FSF's campaigns target important opportunities for free software adoption and development, empower people against specific threats to their freedom, and move us closer to a free society. Our successes are driven by the efforts of supporters and activists like you all around the world. Please take a moment today to make a contribution, by joining the FSF as an associate member, making a tax-deductible donation and volunteering your time. What are the latest things happening for the campaigns team? Check out the FSF Community Blog, maintained by the campaigns team. Have an idea for something we should cover? Drop us an email. Looking for simple action items, or have an idea for a simple action item for free software supporters? Check out the Action items page at libreplanet.org. The FSF's High Priority Projects list and Reverse Engineering Task List serve to foster the development of projects that are important for increasing the adoption and use of free software and free software operating systems. Some of the most important projects on our list are "replacement projects". These projects are important because they address areas where users are continually seduced into using nonfree software by the lack of an adequate free replacement. These are critical projects that need your help. If we want to defang surveillance programs like PRISM, we need to stop using centralized systems and come together to build an Internet that's decentralized, trustworthy, and free "as in freedom." Check out the surveillance campaign area to get involved with the effort to make the Web in general safer and from surveillance. On an individual level, we also need to start encrypting our personal communication to make bulk surveillance much more difficult and to protect the people we communicate with. Try Email Self-Defense, our beginner's guide to email encryption, to get started in less than an hour. Free software is simply software that respects our freedom — our freedom to learn and understand the software we are using. Free software is designed to free the user from restrictions put in place by proprietary software, and so using free software lets you join a global community of people who are making the political and ethical choice assertion of our rights to learn and to share what we learn with others. To make donations to specific free software projects while supporting the FSF at the same time, learn more about the Working Together for Free Software Fund. Projects interested in joining the fund can visit our fiscal sponsorship page for more information. This is a campaign aimed at getting new users into free software. The GNU operating system is a complete operating system made entirely of free software. Millions of people are using GNU every day to edit their documents, browse the web, play games, and handle their email, or as part of a GNU/Linux system on their home computer. Even people who have never heard of it use GNU everyday, because it powers many of the sites they visit and services they use. Learn more about GNU, and support progress on fully free operating systems by volunteering or donating to the FSF. Digital Restrictions Management (DRM) robs us of control over the technology we use and the culture we live in. DRM and the DMCA can make it illegal to share an article, back-up your kids' favorite DVD, or move your music from one player to another. Since DRM is inherently incompatible with free software, it also excludes free software users from equal participation in culture. Now, we are facing a new threat: DRM in HTML5. Millions of Internet users came together to defeat SOPA/PIPA, but now Big Media moguls are going through non-governmental channels to try to sneak digital restrictions into every interaction we have online. 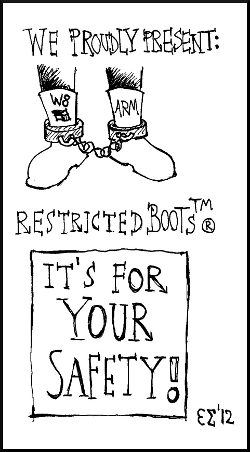 DefectiveByDesign.org is our anti-DRM campaign, where we mobilize large vocal communities to reject products from businesses that insist on using to DRM to control their customers. Learn more at DefectiveByDesign.org and the campaign wiki. The PlayOgg campaign (playogg.org) promotes the use of free audio and video formats unencumbered by patent restrictions, rather than MP3, QuickTime, Windows Media, and AAC, whose patent problems threaten free software and hinder progress. We also promote the use of the new "video tag" standard as an alternative to Adobe Flash for embedding audio and video in webpages. Find out more about PlayOgg at playogg.org or at the campaign wiki. You can also join the PlayOgg volunteer team to push companies and services to use Ogg by joining the mailing list. Software patents create a legal nightmare for all software developers and pose particular problems for the free software movement. So as the FSF campaigns for formats that are free of software patents, we also work on the more fundamental task of ending software patents entirely, through legal and legislative action. Learn more at EndSoftPatents.org, see the wiki, join the action alert mailing list. Our OpenDocument campaign fights for the use of free formats in government documents, pushing governments to adopt policies requiring that all digital public documents and information be stored and distributed in formats that are standard, open, and royalty-free. OpenDocument Format (ODF) is one such format. Get involved and take action against Microsoft Office Open XML. Hardware manufacturers are often negligent in offering support for free software. Our hardware directory helps people identify hardware to buy that works with their free software operating system. It is also an important part of the FSF's ongoing work to persuade hardware vendors to respect free software users. For more information on the FSF's plans, read our whitepaper: The road to hardware free from restriction, or see its most recent revisions on its LibrePlanet wiki page. January 2018: Read about the threat presented by the Intel Management Engine. The BIOS is a computer's Basic Input/Output System, which boots the operating system and provides the interface between it and the hardware components. Though users are rarely aware of the BIOS, its foundational role makes it a user freedom chokepoint; if it is not free, users cannot trust it not to modify their computers on behalf of the company that wrote it. Our campaign for a Free BIOS promotes free BIOSes like Libreboot and librecore. Explore their Web sites to learn how to install a free BIOS or get involved in development and testing or read more from the FSF. The FSF is also pushing for the creation of a laptop with a free BIOS. The FSF welcomes volunteers in all of its campaigns. You can keep up with the most important happenings in our campaigns by following our news feed, blogs feed, and the #fsf IRC channel. Read this page in Spanish. Please note that the Spanish page is out of date. If you're interested in helping to update translations, please visit Guide to Translating Web Pages.